Clinical Support Services and Corporate Services. The directorates are further divided into 16 departments. In addition to cardiovascular treatment, the JKCI establishment instrument (2015) empowers it to train at tertiary level cardiovascular care and treatment, and perform research that conforms to consultant and teaching hospitals and Institutes worldwide. In the quest for meeting its mandated functions, the JKCI works with stakeholders to meet not only the National and Ministerial health targets, but also the WHO health standards as far as possible. viii. Perform any other duties as assigned by superiors from time to time. Bachelor of Science in Nursing from a reputable institution plus successful completion of Internship and registered with Tanzania Nurses and Midwives Council. Attractive Package will be offered. The Tea Research Institute of Tanzania (TRIT) is an autonomous organization representing the Government of Tanzania and the tea industry. Its duty is to support the continued development of the tea industry, both large and small-scale producers, with appropriate high quality, cost effective research and technology transfer. It is funded by both public and private sector and by grant aid from willing donors. The TRIT operates at two locations: Ngwazi Tea Research Station, located in Mufindi District, Iringa Region and Marikitanda Tea Research Station located in Amani Muheza District, Tanga Region. v. Supervise maintenance of research trial site located across all tea growing areas of Tanzania. B.Sc. Agricultural crop or related Biological Sciences degree in his/her appropriate field from a recognized University. The successful candidate will be entitled to an attractive package commensurate with job requirements. The salary pay will be at TRITS 6 scale. 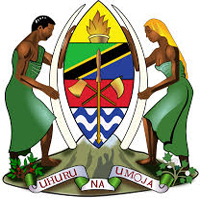 The National College of Tourism (NCT) was launched as an Executive Agency under the Ministry of Natural Resources and Tourism on 24th January, 2003 in accordance with the Executive Agency Act No. 30 of 1997. NCT is responsible for providing high quality training in Hospitality and Tourism industry with a view of improving service standards and enhance skills in Tourism and Hospitality. Holder of Bachelor Degree in Hotel Management with specialization in Pastry and Bakery Services or equivalent qualifications from a reputable institution. Diploma in Education and three years working experience in teaching will be an added advantage.